Med-Tech Innovation Expo, the UK and Ireland’s leading showcase for medical design and manufacturing technology, will once again deliver a world-class speaker programme for 2,500+ visitors at the Ricoh Arena in April. The Med-Tech Innovation Conference, produced in association with Medilink UK, has a history of providing insight and intelligence from a wide range of blue-chip users, government officials and industry experts, and this year’s outing will be no exception. With presentations from Deloitte UK, the Academy for Healthcare Science, NHS Digital and more, the Med-Tech Innovation Conference will continue to set the agenda for debate in the medical technology sector. The theme of the 2018 conference programme is ‘Advancing Healthcare: Inform, Educate and Inspire’ - an extension of the Med-Tech Innovation Group’s mission to advance healthcare by facilitating conversation and collaboration. Debbie Chinn, Director of Solutions Assurance at NHS Digital, will take to the Med-Tech Innovation Conference stage on Day 1 to discuss clinical risk management for health informatics, current and future trends for clinical safety. Later that day MHRA’s Director of Devices, John Wilkinson, will deliver his presentation on the new Medical Device Regulations (MDR) and In-vitro Diagnostics Regulations (IVDR), ‘from words to action’. On Day 2, attendees will hear from Dr Ian Campbell, Director of Health and Life Sciences at Innovate UK, who will give an insightful update on industrial strategy and the ISCG (industrial strategy challenge fund). For those seeking a deeper understanding of the mHealth landscape globally, in the UK and the NHS, Liz Ashall-Payne (CEO and Founder of ORCHA) will offer her wealth of expertise. Over on the HealthTech stage, event exhibitors will deliver engaging presentations covering all the latest news on hardware, software, materials and services. 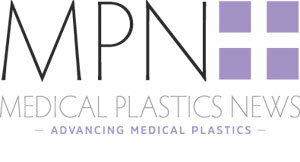 This will include Dr James Stern from Albis discussing the complex world of plastics in healthcare applications, Professor Alexander Seifalian of NanoRegMed Ltd, covering the development of medical devices using graphene nanomaterials and Lorna O’Gara from Ultrapolymers explaining polymer innovation in healthcare and inter-material replacement for flexible applications. A complete list of speakers for both the Med-Tech Innovation Conference and HealthTech Stage can be found at www.med-techexpo.com/speakers.